On Sunday, July 14, 2013 Marshall received the newest revelation in a 30 year process of divine communication, now known in the world as The New Message from God. This newest revelation is called, The Journey of the Messenger. It was a warm, bright summer day. The morning light and colors of the trees and mountain sky were electric. Though it was a Sunday morning, there was a construction project underway nearby with the sounds of drilling and hammering. On this day Marshall awoke with a feeling of pressure, which was with him all day. Initially he thought this strong sense of pressure was related to his need to continue a recording process, which the Angelic Assembly had been instructing him to do. Finally in the afternoon, he went to the New Message Sanctuary to do one of these recordings, having prepared for it earlier that morning. He also had to go to the Sanctuary to record because there was so much noise from this home near to ours. Marshall completed his recording at the Sanctuary, but the sense of pressure grew and stayed with him. In a moment, we went through in our minds the revelations he had received regarding The Messenger and couldn’t recall between us whether such a revelation had been given. In his anticipation and questioning, I began to see that the revelation was already beginning to flow into him, even before the Voice actually began. As the oncoming revelation approached him, Marshall bowed his head, whispered his prayers and invocations, then entered a special time of transition and quiet, as he prepared himself. Then the Voice began to speak suddenly. Today we shall speak of the journey of the Messenger. God has sent the Messenger into the world at a time a great change and increasing uncertainty. He is the one Messenger for the world, though it will be difficult for many people to accept this… He has come from the Angelic Assembly of which he is a part… What he will provide, no individual could provide. As the words flowed Marshall gently took both of his hands and he put them up to his brow and shadowed his face, and then supported his head on his hands as the revelation continued to speak itself through him. Several minutes later he emerged from this posture and sat more upright. The Voice continued and continued to speak. At one point with eyes closed he held his hands up vertically in front of him, pressing them together and with the back of his right hand facing the room. I had never seen him do this before. He held his hands in this manner for quite some time. And the Voice flowed. Then he extended his hands before him, opening his arms wide as if in a welcoming gesture. The Voice continued to speak. He held this gesture for 3-4 minutes. And the Voice went on. As I witnessed these movements accompanying the Voice I could see truly that Marshall was not alone. What I was witnessing was more than Marshall. It appeared that he was not aware of his movements. He seemed to be sharing his body in some way, and as the Message moved through him, it enlivened him physically. The minutes went by. He seemed to be completely overtaken with the experience. And so, he continued in this manner receiving this revelation for nearly half an hour. Once the voice ceased, Marshall sat silently with eyes closed for quite some time. He eventually came out of his state of revelation and, through half opened eyes, he ensured that the recording was captured and titled correctly. After this, he sat for five long minutes with his head bowed. I replied that I had. I said that it was not a long message but it was very focused upon the importance of the New Message and Marshall’s role within it. Following this I helped him lay down on the bed resting upon a special formed pillow that supports his upper back and extends and stretches his neck. For the duration of time that Marshall is engaged in receiving the Voice there is a great deal of strain on his neck as he leans forward receiving the revelation, and also due to the experience of tremendous pressure and weight upon him that he describes feeling. In addition, as a result of receiving these revelations, Marshall says he experiences a tremendous draw upon his mind and mental capacities. Therefore, as soon as he stood up, I gave him a nourishing drink to help replenish him after what he says is a great physical expenditure. In those immediate moments right after receiving and before resting, I asked him what he was thinking and feeling. Later, after some rest time and while he was still in the afterglow of revelation, but in a more lucid state of mind, I asked him if he had any thoughts or feelings about his experience and about this day of revelation that he would like to share. “Today I received the teaching, The Journey of the Messenger. It was received late in the day and all day long I felt a great burden, a great pressure. There was so much noise around the house that I could not record earlier. I had to wait until almost dinner time to receive the gift of this Teaching. It felt like I was carrying a backpack laden with something heavy, but now in the aftermath and in the afterglow of revelation, I feel very light. My head feels clear, and the feeling of weight and burden are gone. I am grateful that the Assembly is providing these Teachings regarding my role, purpose and challenge. This is being proclaimed now to the world, as the way is being prepared for me through the Proclamation, through the Revelation itself. This is a tremendous support for me who faces a world of extreme views, violent reactions and great resistance and denial. Marshall rested for the next hour or so, and I went off to try to be with what I had just witnessed, and as I did many feelings and emotions welled up in me. I feel honored that I could be present, after all these many years, while Marshall undergoes such a supra-normal experience of God, via the great love and service of the Angels of God. I pray that these revelations may be heard around the world, as the revelation goes forth and into the future. And I pray that others can benefit from the miracle that is occurring here, at the center of my life. 6 Responses to "Receiving “The Journey of the Messenger”"
A deep and heartfelt thank you, Marshall and Patricia, for your selfless love and willingness to serve humanity as vehicles for these very precious gifts of revelation to the world. I began the Steps to Knowledge study on Saturday, July13, the day before you received this revelation – a synchronicity that makes me feel a deeper connection to your mission. Each day of the Steps practice offers a small personal revelation of its own to me about the preparation work I need to do to strengthen the Four Pillars of my life. And I love the insights and inspiration provided in the companion study book, Living the Way of Knowledge. Although I do not have the resources of youth now, nearing age 72, I am encouraged that I can still come to know and live my higher purpose here by helping to bring the New Message to the world..
May this, in some small way, warm your heart and encourage you in your sacred work with the Angelic Assembly. 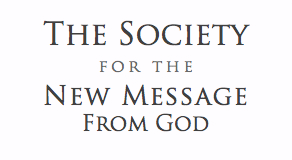 Jerry, the revelation “The Journey of the Messenger” has not been released yet by the Messenger and The Society. Above is Patricia’s story of when and how it was received. It is very moving to be allowed into the sanctity of these moments. As I read this, I found I was holding my breath. Such gratitude fills me and other emotions I can’t yet identify. The selfless devotion, the surrender, the trust, and the intimacy with the Presence all come through. There is an unspoken quality within this sharing that communicates its authenticity. I feel blessed in reading and experiencing it. I bless you with Love, Marshall. As you receive and share so the ripples of the Flower of Life are affected. You are heard and I hear you. I respond. Thank you for this gift of this beautiful website– so interactive and evocative in its invocation. I am grateful to you, the Allies of Humanity and the Angels.